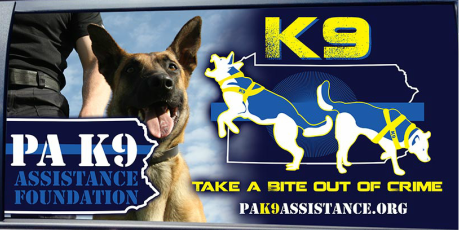 Below are some of the donations PA K9 Assistance Foundation has received. Honorary donations are noted with the purpose listed. On behalf of all law enforcement K9 teams throughout the Commonwealth of Pennsylvania, we thank all who have contributed to this immeasurably important cause.